When I think of cotton candy, memories of eating the sticky treat at the fair instantly come to mind. I also think about the dreamy pink and blue pastel shades (Pantone 2016 colors of the year anybody?). The Cotton Candy Fragrance Oil smells just like the real thing. 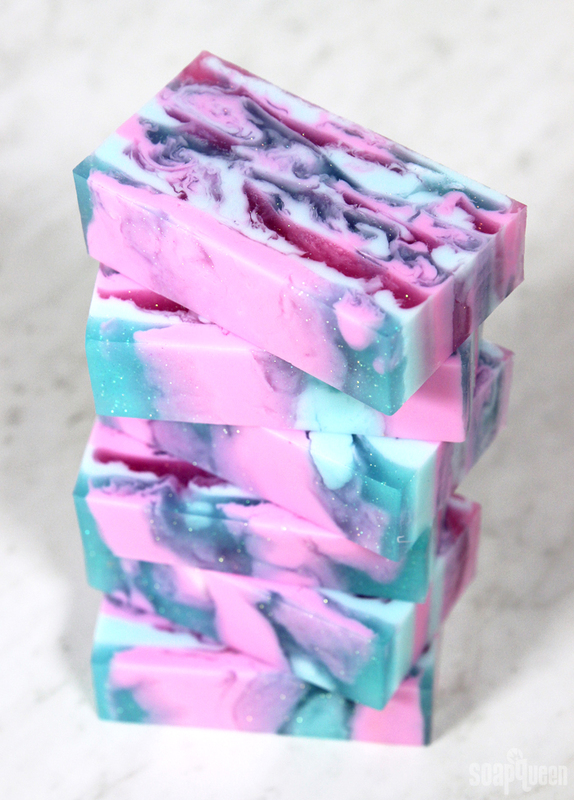 So much so that I had to create soap with cotton candy inspired pink and blue pastel colors. 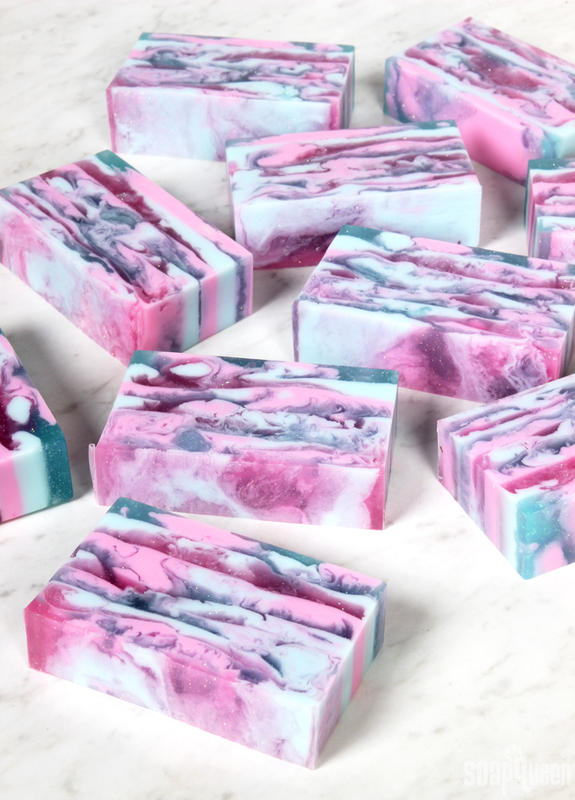 This melt and pour project isn’t difficult necessarily, but it does require an understanding of how melt and pour soap behaves at different temperatures. 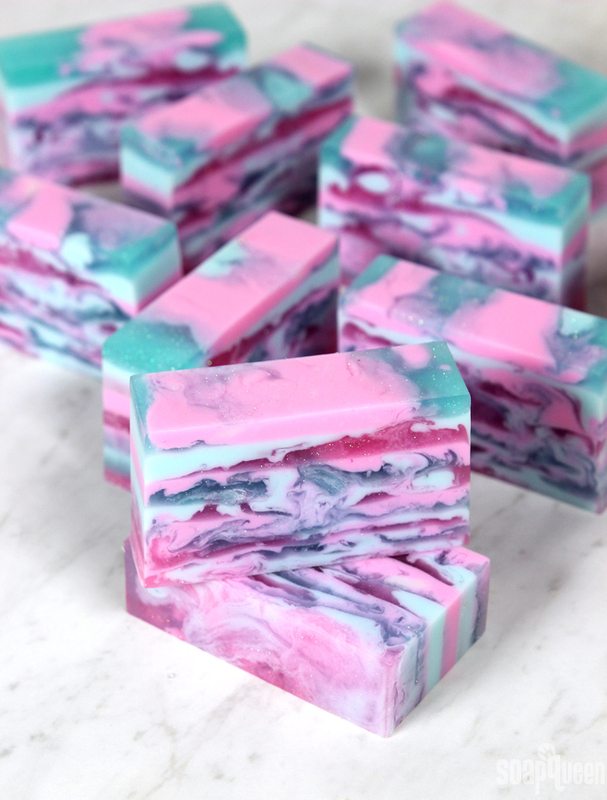 If you’ve never swirled melt and pour soap before, see my tips here. I definitely recommend having a thermometer for this project to check temperatures. A spray bottle of 99% isopropyl alcohol is also a must. Without spraying alcohol before each layer, they may not stick together. This project is great for making with a friend! It can be nice to have somebody keeping an eye on melt and pour temperatures, and to help spray the alcohol after each step.